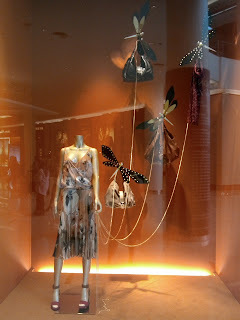 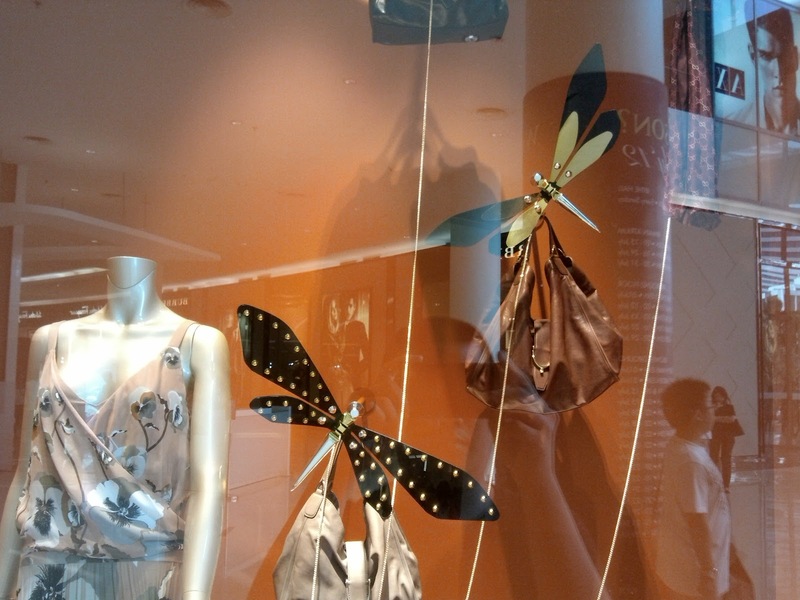 Gucci window display for pre-Fall 2012 is about giant dragonflies. 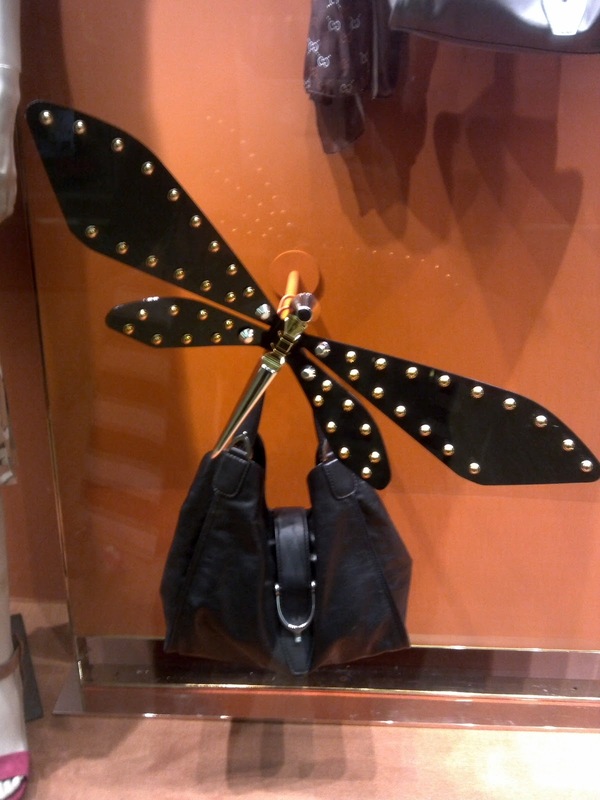 They are come in black and golden metallic colors, also their wings are studded. Not sure the concept is about dragonflies as natural animal or as kite. 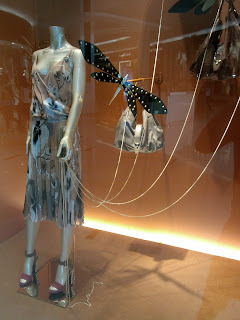 Since the mannequin is holding chain-ropes that carry those dragonflies.